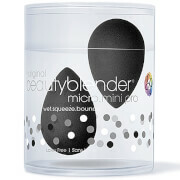 These adorable micro-sized beautyblender® made for smaller areas such as the under eye, inner eye corners, lids, brow bones, sides of the nose, top of the cheeks and acne spots. Effortlessly blend cream products like concealer, eye primer, cream eye shadow and more for the ultimate targeted precision and the same impeccable performance as The Original Beautyblender. Made for smaller areas such as the under eye, inner eye corners, lids, brow bones, sides of the nose, top of the cheeks and acne spots. 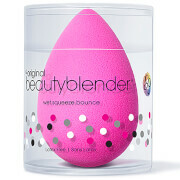 Effortlessly blend cream products like concealer, eye primer, cream eye shadow and more for the ultimate targeted precision and the same impeccable performance as The Original Beautyblender. The material ensures the sponge is not absorbing your makeup, but rather keeping more on the surface where it belongs, saving you product usage and allowing for better coverage. 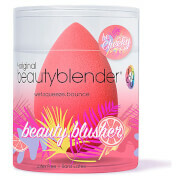 Wet the beautyblender® with water. Squeeze out the excess liquid, using a towel if available. Bounce concealer, eye primer, cream eye shadow and more for the ultimate targeted precision.